Ok, I'm ready to see Toyota drop the ball on this one. Drops 40hp...."trying to be more of an eco car"....that doesn't sell to me very well..and I'm 30, right in their new demographic. I was hoping for a powerful 300HP+ engine. Instead, they drop the horsepower. Come on Toyota! Get with the program here! If the power to weight ratio is higher despite 40 hp, it's gotta be a big change in weight. The market is flooded with fat high hp cars, so it's good to see them stay on target. Of course I doubt their improved power to weight ratio claim, more likely is a fat low hp eco car. Toyota Motor Corp.’s upcoming new “affordable” sports car alluded to by President and CEO Akio Toyoda in a speech here today will be branded either a Toyota or Scion, a top U.S. official says. The sports car is the famed “Toyobaru” rear-wheel-drive model Toyota is co-developing with Subaru-maker Fuji Heavy Industries Ltd., Jim Lentz, president-Toyota Motor Sales U.S.A. Inc. reveals in a media roundtable at the 2009 Center for Automotive Research Management Briefing Seminars. “I think it’s going to be great for sales and great for the Toyota image,” Lentz says of the car, which Toyota is fast-tracking for production in a “few years,” as it tries to inject some vigor into its lineup. Lentz says the model has been on a short-list for production, but Toyota prioritized the Venza cross/utility vehicle ahead of the sports car. 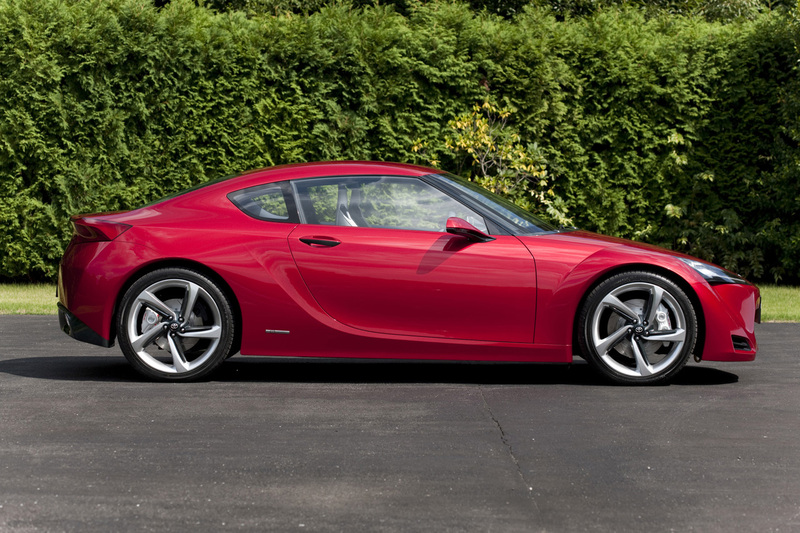 In February, Toyota-brand Group Vice President Bob Carter told Ward’s a sports car was desired but not a priority given tight product-development resources. 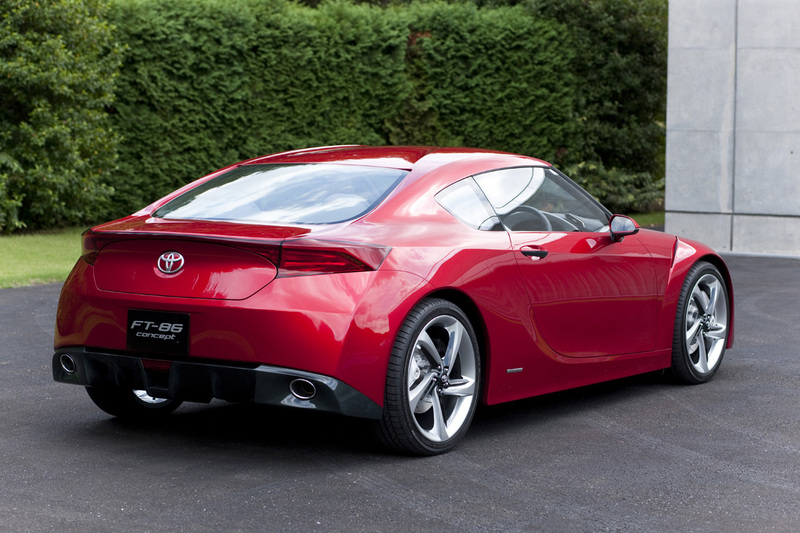 Toyota models, Lentz admits, “could be more passionate and could have better styling,” but that doesn’t necessarily mean the car will be branded a Toyota. 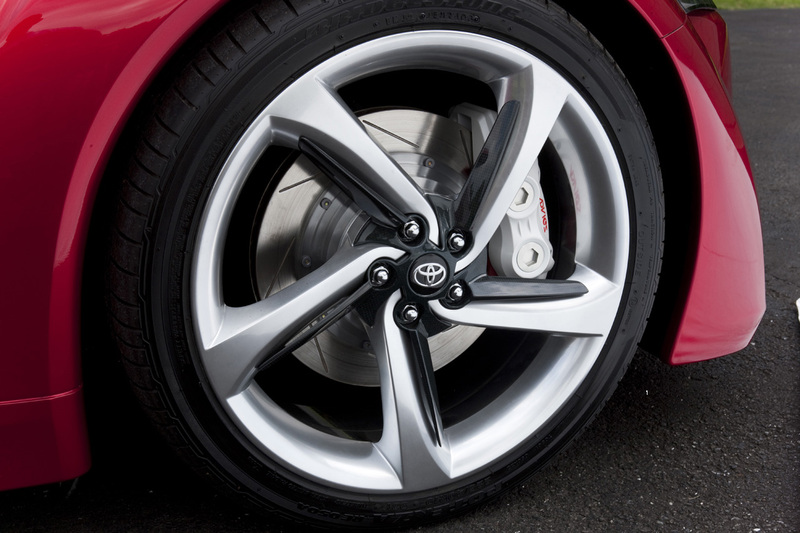 Scion is due for a next-generation tC sport coupe, on sale in its current form since 2004. Lentz says if the new model were to be branded a Toyota, there likely would be some market cannibalization from the tC. He says unequivocally the tC will have a next generation. Pricing for the new sports car has yet to be determined, but Lentz says it will be important to price it within reach of Generation-Y buyers. Meanwhile, the Lexus LF-A supercar that Toyoda announced earlier today would go into production will be retailed in the U.S. Whether the model will be available in both coupe and convertible form is still to be determined, as is pricing and its target demographic. It is possible Toyota will be able to conquest Italian exotics with the LF-A, but officials say it also could appeal to current Lexus owners. The ideal buyer would be a person with a Lexus LS and an Italian exotic already in the garage. While it will be a very low-volume model, bringing the LF-A to market will be important for Lexus to showcase its technological prowess, Lentz says. Fans of Toyota's sporting history have often lamented the current lineup of perfectly competent yet decidedly boring offerings, calling them 'appliances'. The days of the Supra, Celica and MR-2 may yet return, however, with new president Akio Toyoda at the helm. 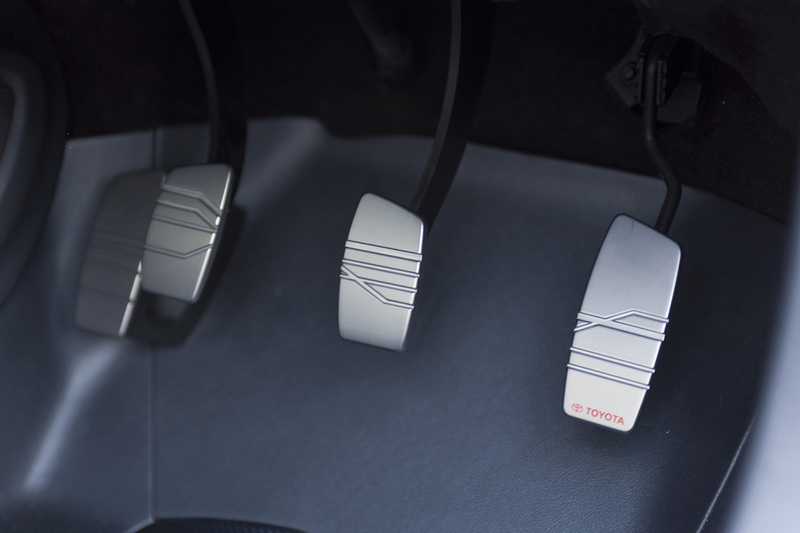 Speaking today at the 2009 Center for Automotive Research (CAR) Conference, Toyoda said, "My hope is that I can transfer some enthusiasm from the race track to our vehicles and make driving fun for our customers around the world. "And to that point, I am happy to announce this morning that Toyota plans to build an exciting...fun-to-drive...affordable sports car and launch it within the next few years. "I am very excited about it...and I plan to fast-track it." 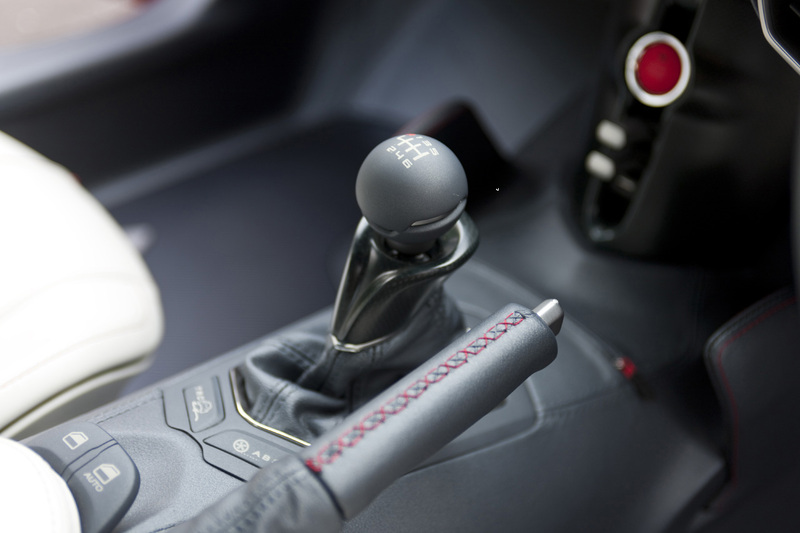 That could mean a debut of the new car as early as 2011 or 2012, which would put the vehicle right on schedule for the 086A joint project currently being developed with Subaru. That car is expected to be a RWD sports coupe powered by a naturally-aspirated four-cylinder boxer engine rated in the neighborhood of 200hp. Some reports have the car being sold in the U.S. as a Scion, which would help mate the car with Toyoda's statements about affordability and excitement. Whatever the car ends up being, or looking like, it's exciting to see such enthusiasm for driving, racing and cars in general at the head of Toyota. Let the talk of a Supra revival - hybrid or not - begin! Toyota's President Akio Toyoda has said the automaker is in desperate need of an excitement injection, and here's the first dose: the Toyota FT-86 Concept. 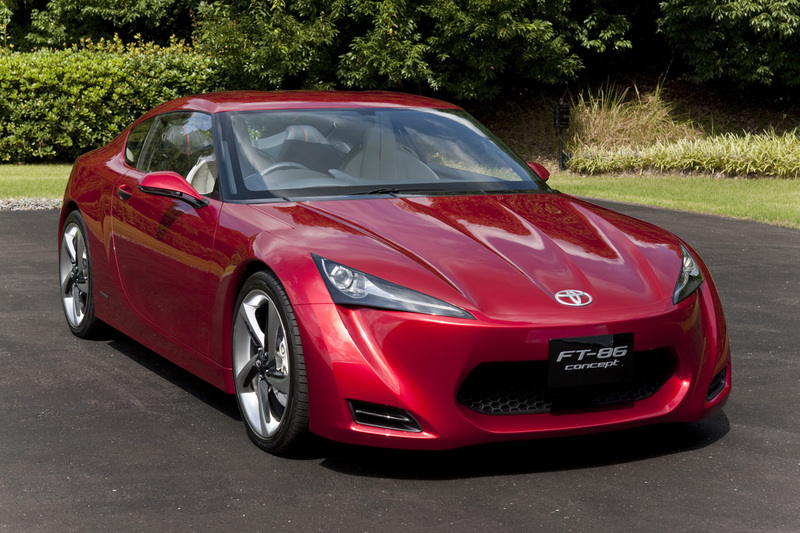 Inspired by the Corolla-based AE86 sports coupe of the '80s, the FT-86 concept was designed by the automaker's ED2 styling studio in France and bears a remarkable resemblance to the FT-HS concept shown at the Detroit Auto Show several years back. Since it's a "concept," Toyota hasn't divulged much about the FT-86 yet, but we do know it's powered by a Subaru-derived 2.0-liter boxer four sending power to the rear wheels. 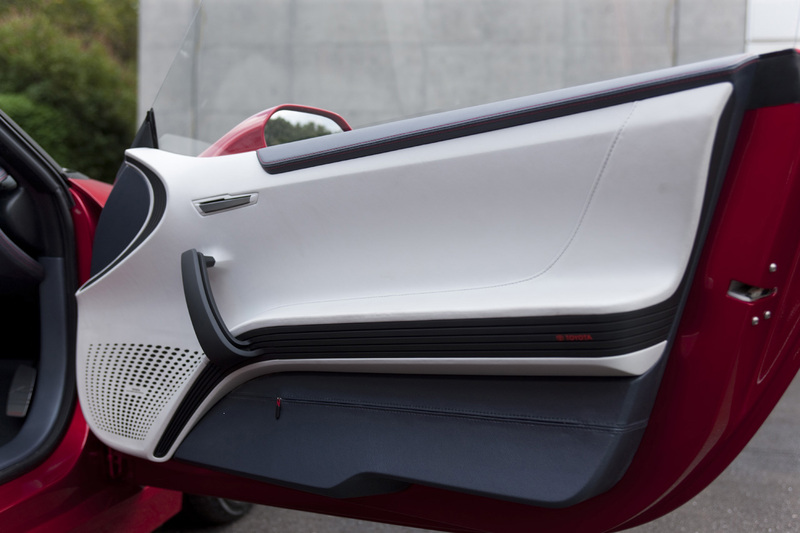 Toyota focused on keeping the weight down to improve handling and, according to one source, the platform is unique to the concept. The engine sits lower in the engine bay to aid aerodynamics while keeping the center of gravity in check, and the overall dimensions of Toyota's new 2+2 are 163.78 inches long and 69.29 inches wide, with a wheelbase of 101.18 inches. 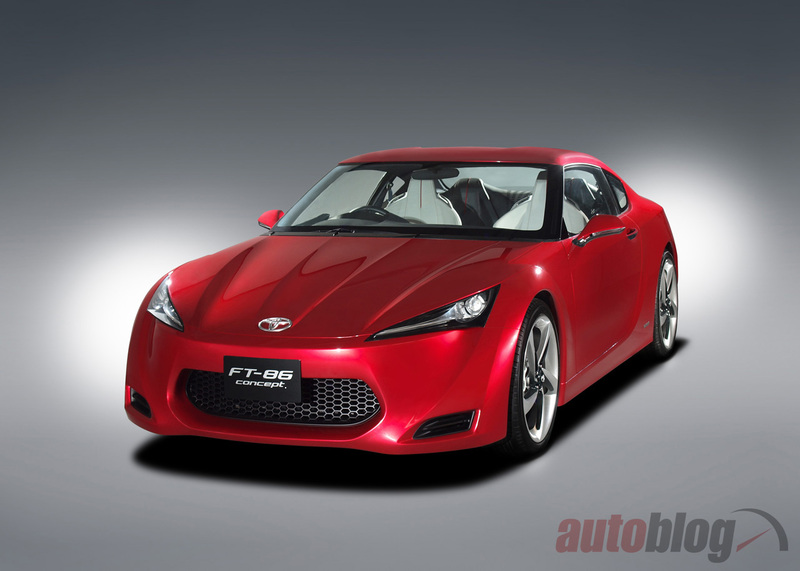 After the FT-86 bows in concept form at the Tokyo Motor Show next month, the production model will be shown sometime next year with sales beginning sometime in late 2011 carrying a sticker price somewhere north of $20,000. Imperessive. I was all excited when the Genesis coupe came out, but a bit disappointd by its weight and (for todays market) low 4 cylinder power output. Sounds like Toyota may have the weight thing under control, but if there's no turbo under the hood I will still be left wanting. Body looks great, like a smaller and MUCH more affordable LF-A. This car may be worth the wait. Welcome back to the cheap speed side of the market, Toyota. 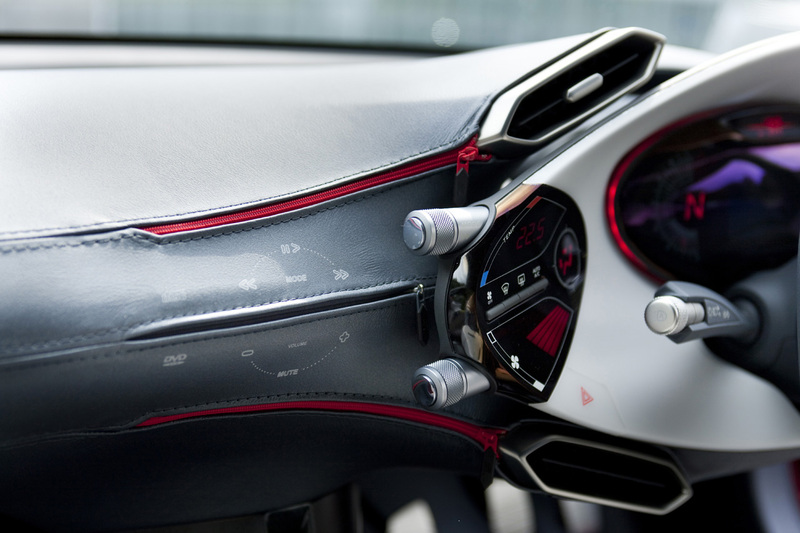 #1 is the radio zippered in behind a leather dash?! #2 the Subaru variant MUST be AWD or they will have to ditch their slogan "The beauty of AWD"
That car is way too out there to be a toyota....it'll never happen, at least not looking like that. I really like the front. Any word on power output or more importantly...weight? Educated guesses have been on a 2-liter, 200 hp flat four and a curb weight no greater than 2800 lbs. 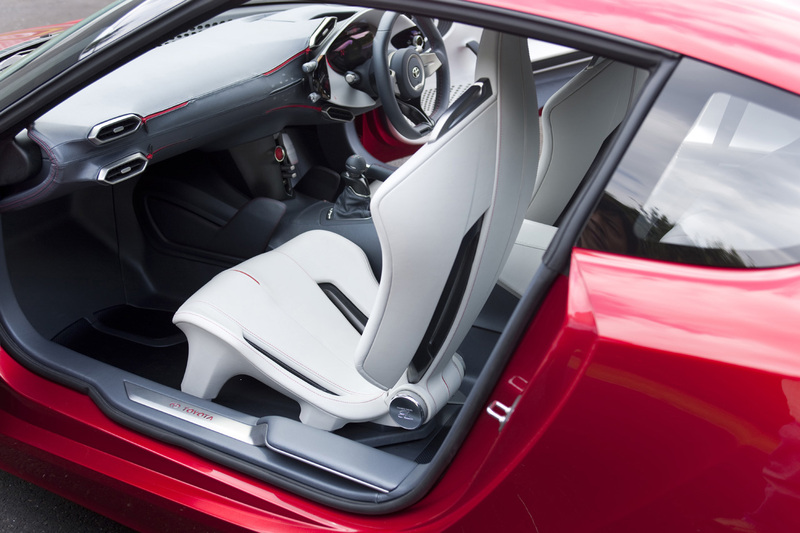 Interior is a little crazy. Some people say that Toyota is too conservative with no RWD cars and main stream styling. This is going to change that. I like it! 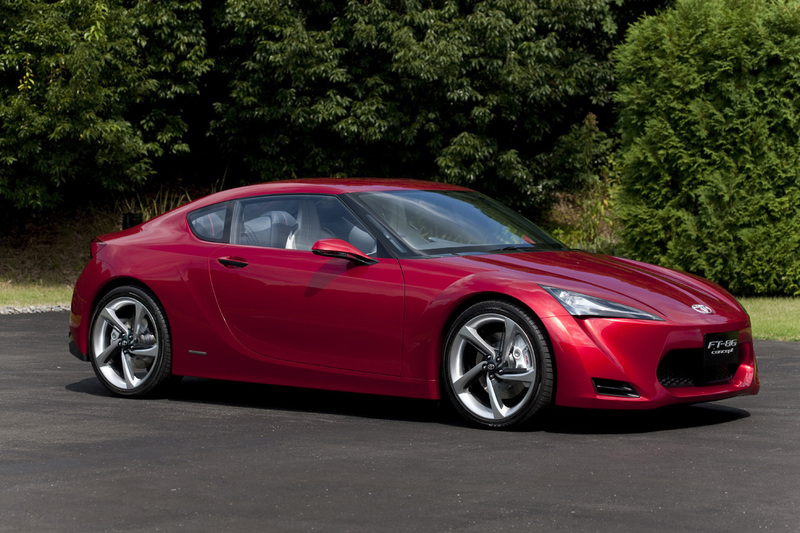 Toyota, please build this car. They're the only car manufacturer that don't have a single sportcar model, oh and Buick. And i'm not including the Scion. That's quite pathetic IMO. That didn't take long. Hot on the heels of the Toyota FT-86 Concept's reveal, we've got videographic proof that ToMoCo's new boxer-powered 2+2 is bound for the virtual circuits of Gran Turismo 5. Make the jump to see a darkened shot of the C-4S flat-four underhood, followed by the FT-86 romping through some European backroads, running a street circuit and then sliding sideways at Tsukuba with its predecessor and inspiration, the original Toyota AE86 Corolla.